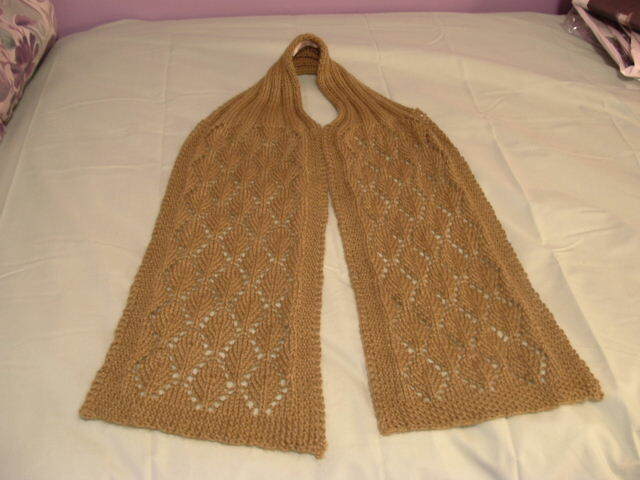 The Susan Seaman's Scarf from Stahman's Shawls and Scarves by Myrna A.I. Stahman is a wonderful well written book. I recommend it highly. I love that susan scarf. About stash: I feel it's what keeps us sane so don't regret it. I keep my stash in my apt an d when I feel down a bit, a few hours checking it out does wonders.